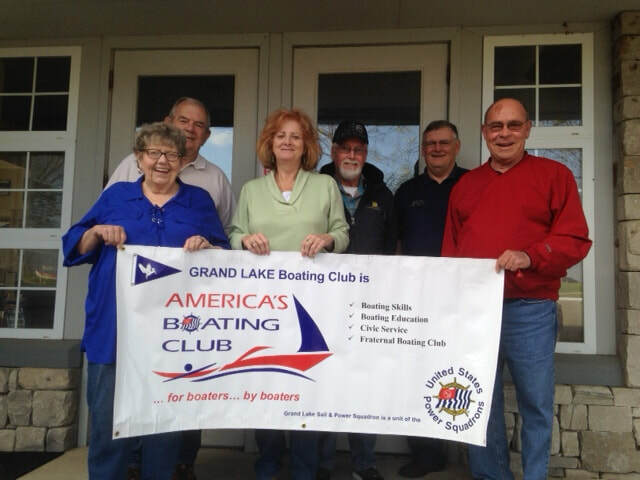 The Grand Lake Power Squadron offers boaters an extensive offering of United States Power Squadron courses and seminars lead by an excellent group of experienced boaters and sailors. America's Boating Club, USPS offers a full range of educational experiences for both novice and experienced boaters. We teach a variety of comprehensive courses to advance your know-how of seamanship, boat handling, and other related courses. Our Squadron offers in-depth USPS courses (usually 6-8 weeks), focused to-hour sessions, and skills certification in inland, coastal, and offshore navigation and boat operation. Mix and match to suit your boating education needs. Get Your Boating Education Underway! The Grand Lake Power Squadron Education Department has been busy preparing the schedule of classes for the New Year for both members and non-members alike. The planned 2019 Schedule of Classes is shown below and other classes may be added as interest dictates. Note that all dates are tentative and may be adjusted to accommodate students' needs. Also, remember that each squadron member receives a free class every year. So, if you are interested in one of these scheduled classes or another class, please please email Bob Russell, SEO, at robren95@aol.com or Roger Zinn, ASEO at rogerzinn601@yahoo.com). ​Also note that there is always the option of a home study course. Home study students will be assigned an instructor to help schedule study pace, schedule face-to-face help sessions, and provide other assistance as needed. Taking a course by home study is a great way to study at your own pace. ​The course fee for the Class is $39.00 per person. For couples sharing a book, the additional fee is $13 for the second person.